California Car! Locally Owned Since 1993! 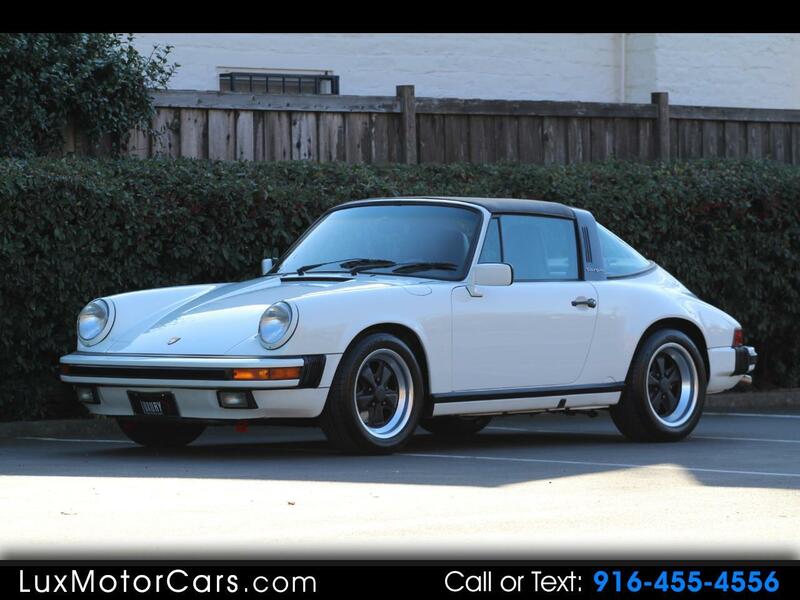 This super fresh 1987 Porsche 911 Carrera Targa comes offered in Grand Prix White over a Black interior and has been very well maintained by its previous owners, it is sold with a thick stack of service records going back to 1993 when the car had 45,000 miles on it. The exterior shows very well, there is very little about this vehicle cosmetics you can fault, the body and paint are excellent, the wheels, lenses, and rubber all look new. The Carfax shows it’s never been in an accident and that the vehicle has been registered in California it’s entire life and it is absolutely 100% rust free from every angle. Message: Thought you might be interested in this 1987 Porsche 911 Carrera.